There’s a reason the classics still work. We all know that the world has changed dramatically over the last ten years. There was no such as an iPhone. Dial-up internet was still a thing. And the most overused consumer segment in the marketing lexicon, ‘Millenial’, was yet to launch a thousand blog articles. However, even worse than the tsunami of clickbait Millenial articles has been the ‘Death of’ articles. When I see a marketing related article with the heading ‘ death of’, I’m tempted to reach for the nearest blunt object and start trashing my laptop. Such articles sport lots of evidence, often based on a sample of one, namely the author’s subjective experience. A version of ‘I love Twitter, why aren’t you on Twitter?’ or ‘Snapchat is where it’s at, get with the programme’. Newsflash for us all (including myself sometimes! ): a succession of anecdotes about shiny new objects selected to fit a story does not constitute evidence. Why do I get so cranky about this sort of guff? Because it makes my marketing day job much trickier. Take, for instance, the articles that you see with headlines promulgating the immediate ‘Death of Email’ . A walk through any office in the world for less than ten seconds would quickly disavow you of that notion. And, a two second search on Google would show stats that this is not the case. And don’t get me started talking about ‘TV Advertising is finished’, when it is actually GROWING in the UK and USA. Nevertheless, I end up having to spend more time that I would care to mention explaining why email marketing is still great. And, even the students the lectures classes I give during the year often have to be convinced, despite the evidence in front of their own eyes. 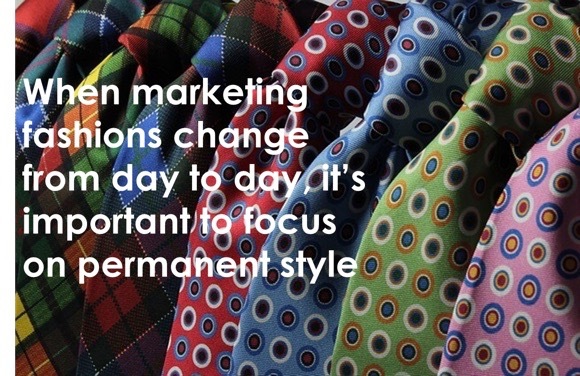 Let us be clear, there are core precepts of marketing that won’t change and will be timeless. Segmentation, targeting and positioning, using evidence-based thinking and so on – these are the real cornerstones of marketing. And, speaking of cornerstones, here are the books that I recommend to my classes, to my team and to my bosses to read. I’ve always loved reading, but I was put off by my first every marketing book: Philip Kotler’s Fundamentals of Marketing, which I had to slog through in university. Bad start. Suffice to say, Professor Kotler did not put the fun in ‘fundamental’. Positioning by Al Ries and Jack Trout: Simply the best – a copy must be on every marketers desk, and you should re-read it often. Want to know why your brand extension hasn’t worked? Read ‘Positioning’. Want to know why Volvo cars will never be able to sell a sportscar? Read ‘Positioning’. The Psychology of Influence by Robert Cialdini: The six weapons of influence are the keys to being a great marketer.If you don’t know them, make sure you memorise them:Reciprocation, Commitment and Consistency, Social Proof, Liking, Authority and Scarcity. Still wondering why you can never resist a ‘closing down’ sale? Study Professor Cialdini. Ogilvy on Advertising, David Ogilvy: I remember reading this AFTER I left university, and thinking to myself: ‘now this is more like it’, compared to the three years of dry theory. Probably one of the best source documents to understand the power of copywriting. How about this: ‘On average, five times as many people read the headline as read the body copy. When you have written your headline, you have spent eighty cents out of your dollar. If you haven’t done some selling in your headline, you have wasted 80 percent of your client’s money.” Or Ogilvy’s belief that you should tell people about price – even in a Rolls-Royce advertisement. Some people think that price drives readers away, but Ogilvy tells you price qualifies the right target person, convinces the reader of the image and brand value of your product. Don’t believe me? 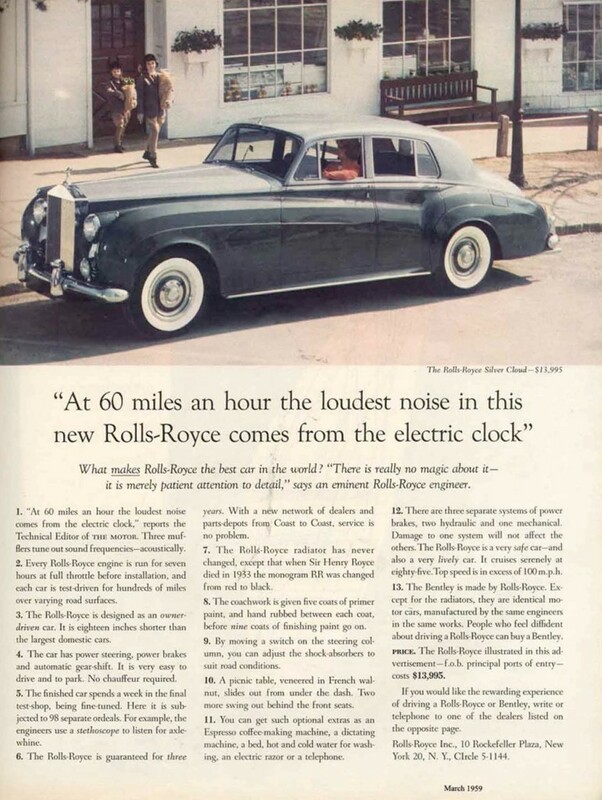 Well, one of his most famous advertisements was for Rolls-Royce, with this headline: “At 60 miles an hour the loudest noise in this new Rolls-Royce comes from the electric clock”. And, at the bottom, the actual price, telling you that ‘The Rolls-Royce illustrated in this advertisement – f.o.b. principal ports of entry – costs $13,995’. For extra credit, when I am working through anything for the web or mobile channels, ‘Don’t Make Me Think’ by Steve Krug is my bible. It clears away bad habits I might have fallen into and acts, by default, as a great screening mechanism for any new website designs that might pass across my desk. For technology marketers, there is the original and best: Crossing the Chasm by Geoffrey Moore. A surprising amount of tech marketers have not read that book. A world of pain always ensues. Lots of books and articles seduce us marketers to follow what’s hot and new, just like a fashionista changing their get up. Start reading correctly, and learn the idea and frameworks that have stood the test of time. I always find that it much less expensive to focus on permanent style and timeless classics that never go out of date, rather than shiny new marketing fashions that change from season to season.